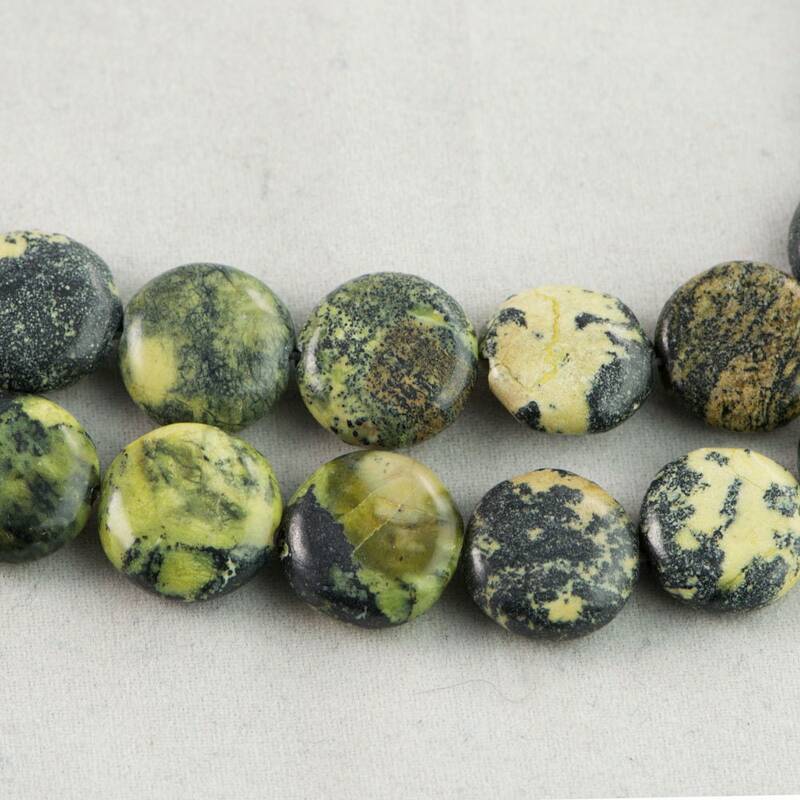 Yellow Turquoise is actually a Jasper or Serpentine stone with webbings of Hematite. This stone is known as Yellow Turquoise because it occurs in the same mines as Turquoise and has the same matrix patterns. It's actually a Serpentine stone with high amounts of Quartz inclusions. The colors range from yellow to green. Approx. Bead per Strand: 17.